Body wash might not be considered the most exciting beauty product on the block, but for some reason I absolutely love them- I can think of nothing better than hopping in the bath to try out a new one! 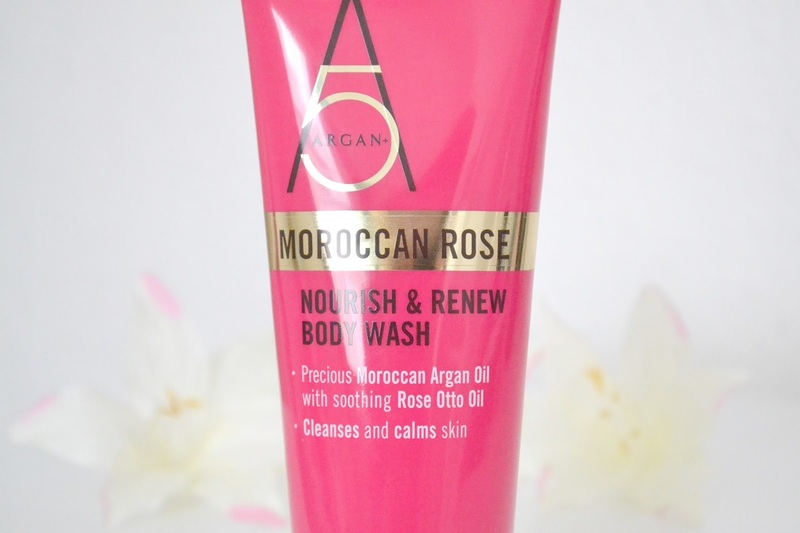 Especially when it's something as gorgeous as rose and argan, does that not sound like the best thing ever? While I'm usually not fussed on floral scents rose is definitely an exception, I remember loving it even when I was really little (yep, I was one of those who attempted to make 'rose perfume' using rose petals and water). There's just something so pretty and classic about it, and even now it's something I love the smell of in beauty products. And throw argan oil into the mix and I'm sold, it's done absolute wonders to my hair over the last year and is a miracle worker on the skin too. 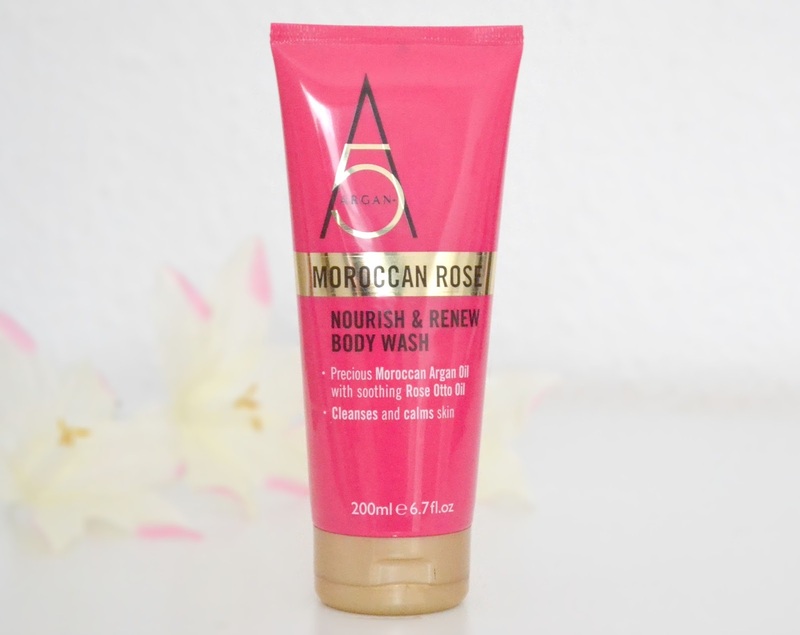 Argan 5's Moroccan Rose body wash boasts a whole host of skincare benefits: baobab oil helps to prevent signs of ageing, kukui seed oil ensures thorough hydration and moringa oil contains over forty antioxidants to protect the skin. Finally sacha inci delivers key skin nutrients including high levels of omega three and six, while aloe vera soothes the skin (handy if you've given yourself a bit of a toasting from sitting out in the sun for too long!) It lathers nicely and leaves my skin feeling soft- what more could you want in a body wash? The scent really fills the bathroom as you use it, and the lovely rose scent lingers on the skin for a while once you're out too. At just £4.95 it's an affordable luxury, and you can be safe in the knowledge that when you're using it you're really doing your skin some good. Because of the moisturising argan oil and soothing aloe vera, I think this would be a particularly nice one to pop in your suitcase if you're jetting away to a sunny country this year. Have you heard of the brand Argan 5? I remember trying to make 'rose perfume' too! Will have to give this a try! Sounds lovely. I'll have to have a look. I loved making "perfume" when I was young haha. Is the rose fragrance sweet or is it old lady rose? I'm loving a lot of rose products at the moment but find some of them have a talcy scent that reminds me of Nan's! Great price though and I love a new body wash too. Argan oil is quickly becoming an essential in my daily routine! Love the sound of this! 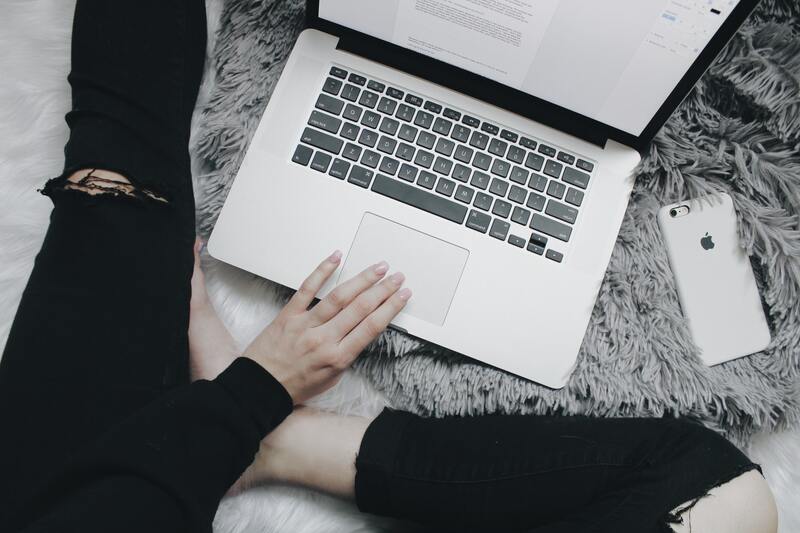 Another brand that we don't have here in the States, but I just love reading UK beauty blogs to see what we're missing over here! LOL. Like you, I've also always enjoyed the scent of rose. "Beautiful" is an understatement, but I can't think of another word to describe it!